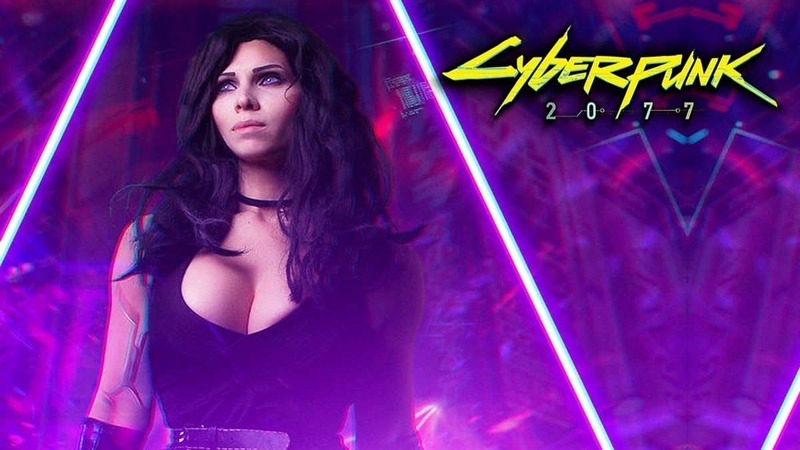 Cyberpunk 2077 is one of the most highly anticipated titles to be released in the years to come. After its recent trailer, shown at E3 2018, fans have been impatient to find out more about its gameplay, just by looking at it. 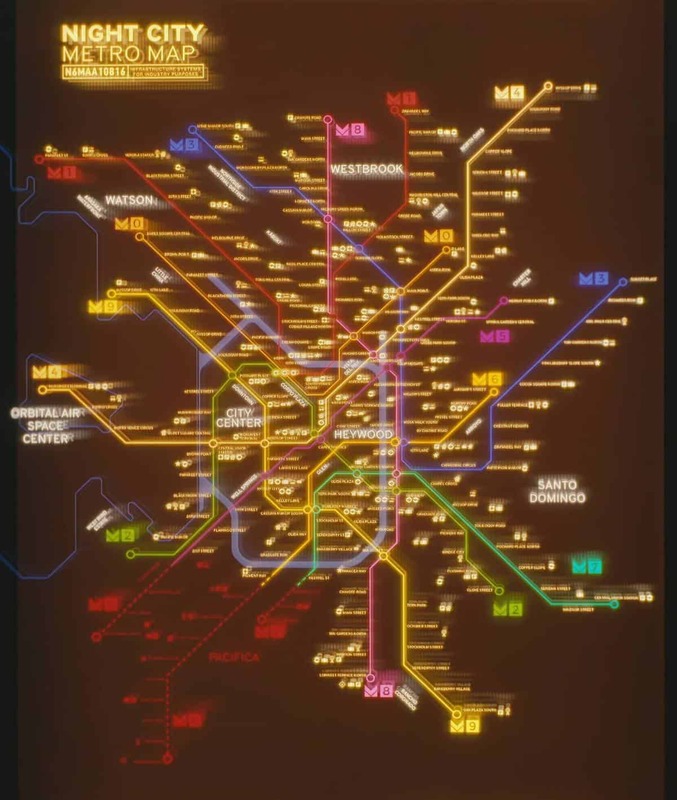 Coincidentally, the Cyberpunk 2077 map posing as a metro map at the start of the trailer, holds a lot of information about its gameplay. The Cyberpunk 2077 map has been tweaked on Reddit so that most of its details are visible for us to theorycraft. As we already knew, there will be six districts where the place will take place. Here’s the full-scale map for you to do some digging. 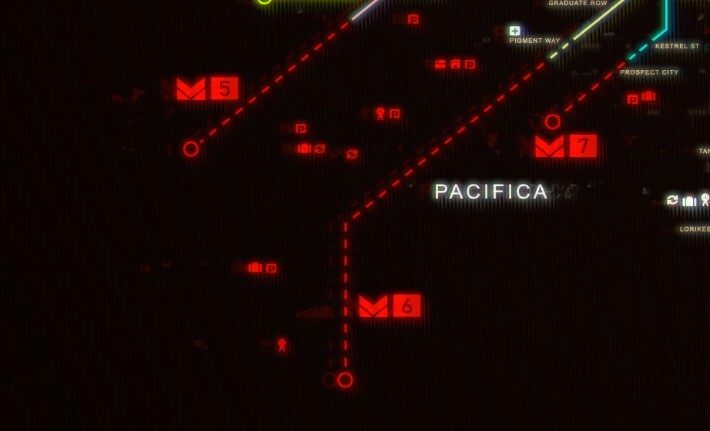 The different named areas of the game are visible with most cryptic one being an area at the bottom left of the Cyberpunk 2077 map, which is shown to be off limits with the name of Pacifica. There’s no information as to what Pacifica could be. There’s no straight line indicating that you can travel there or lots of interest points to let us know that this is indeed a playable sector of the map. It will be interesting to see what all this is about since we can assume that this is some kind of gang-infested area, intended for high-level encounters. As an anonymous source pointed out on a Cyberpunk 2077 related post on Fireden, all Night City will be powered from Santo Domingo, “with its countless power plants and industrial factories, stuck in an endless cycle of modernization”. He also revealed – this is merely a rumor though – that V’s apartment in City Center from the demo is inside a mega building, filled with different NPCs and quests to potentially undertake. V will be able to have several different houses or get a new one. Those places where there are free apartments to get must be the ones marked with a house symbol on the Cyberpunk 2077 map. There are also parking stations, which might be places where you can pick up your vehicle from and rest places which could be used for rest and day fast-forward. Most of the symbols shown on the map are pretty cryptic to determine what they mean. On the trailer, there’s a list of the symbols under the map which is shown for only a second and is too blurry for anyone to make out something out of it. Touche CD Project! However, the double arrow symbol could mean a save game area, as it is found in most places. Furthermore, the suitcase icon could mean some kind of broker where you can get assigned with side quests from companies and such. A symbol that will certainly catch the eye of fans is one that looks like a communications tower. We can’t know for sure what this is about but seeing it act as a means of pushing messages or finding out more about people in the city looks like a plausible theory. What we can’t make out from the Cyberpunk 2077 map is if there’s a symbol for the mega buildings. 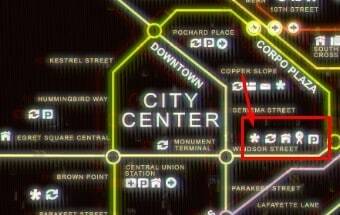 If V really starts off at City Center in a mega building then the most possible symbol to be depicting it is the asterisk one right next to the housing icon right next to the City Center name. Another place that could possibly be of interest is the Orbital Air Space Center. Its name indicates travel to another planet, though it feels almost impossible for the player to be able to do that. 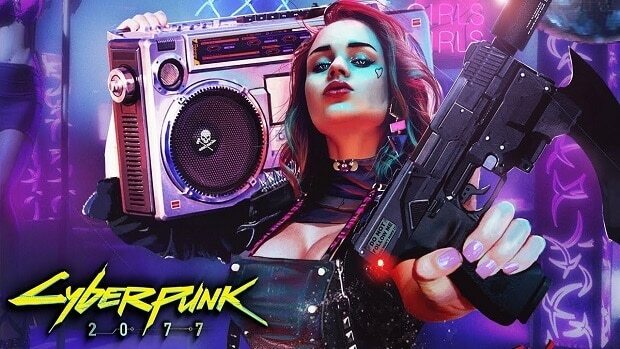 However, the place being there and also having a house function there indicates that it has something to do with the story of Cyberpunk 2077. As CD Project RED has already pointed out, the Cyberpunk 2077 map has little resemblance to the original Cyberpunk Night City layout. Looking at the map, we can see that this is the case, however, it will be interesting to see if we’ll be able to see iconic places from past cyberpunk related universes like Blade Runner or the Cyberpunk tabletop game. 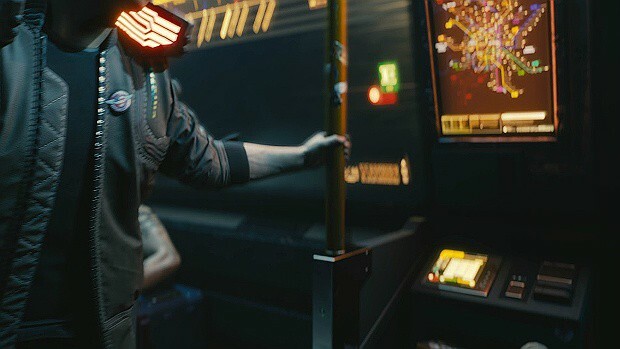 Can you make out any other details on the Cyberpunk 2077 map that we missed? Let us know in the comments section below.